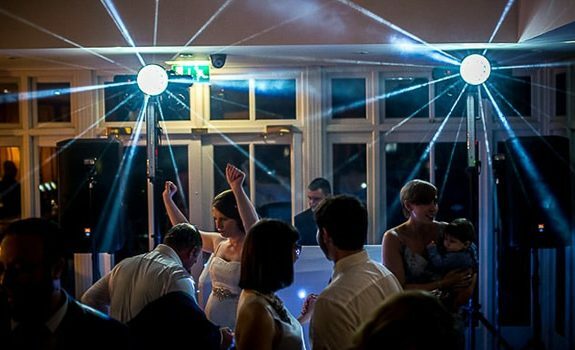 I have 25 years experience as a DJ, so I have developed the skills to judge exactly what music to play, to ensure you and your guests have a memorable night. I’m not a typical DJ with a standard set of cheesy party songs. I play a mix of well-known music, watching what gets the best response on the dance floor, then tailoring the music as the night progresses. I feel lucky to play in some of the most beautiful venues in The Lake District. 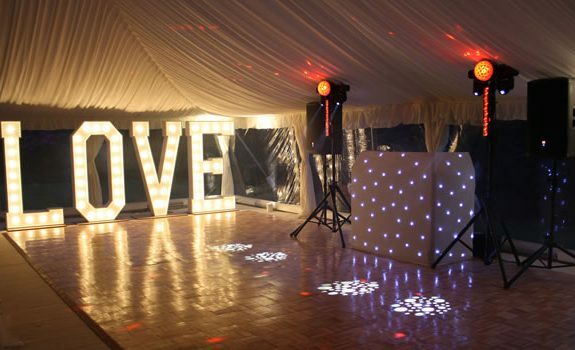 I have a modern and very presentable disco set-up that will look great in your venue, and create good disco atmosphere. I will DJ at your event personally, not pass-on or sub-contract the booking to another DJ, which is common-practice with some mobile disco businesses. Send me a request list in advance. I will make sure I’ve got the requested tracks, and incorporate them into my set along with any other requests on the night. My sound and lighting equipment is very professional. I am always investing in new equipment, aiming for a neat and modern look with no messy cables on show. I hold public liability insurance, which is now a requirement of most hotels. I can send my certification to your venue on request. The biggest day of your life. So much to organise and consider. In years to come, your guests will not remember the detail of the dress, flowers, or cake, but they will remember how much fun they had. The evening entertainment is a vital aspect. I can offer the piece-of-mind that comes with booking a professional and reliable DJ. A massive thank you for DJ’ing at our wedding at The Daffodil. 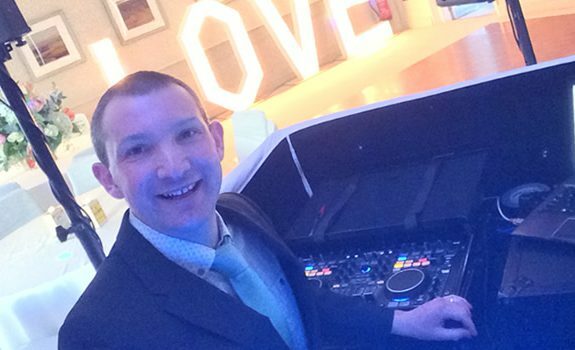 We had a fantastic time and all our guests commented on the fantastic DJ! I don’t think there was any point at which the dance floor wasn’t full. Wow.. What a night! I have never seen so many family and friends smiling, laughing and dancing in one room. Stu kept the crowd going and by the end of the night nobody wanted the music to end! Me and my husband cannot recommend Stu enough! Would recommend Stu to anyone! Had every request out guests asked for! Thank you soooo much for keeping everyone up dancing and party going!!! Many of our guests commented what an excellent dj you were! We didn’t stop dancing all night, and the dance floor never emptied. We honestly can’t thank you enough for filling the night with everyone’s requests and favourites, you played something for everyone and we couldn’t have asked for more. Thanks again for the best soundtrack to a brilliant night! Just wanted to say thank you so much for making our Wedding party so fantastic. Everyone of our guests have commentated how brilliant the music was! You certainly had the dance floor full all night!! Perfect! !